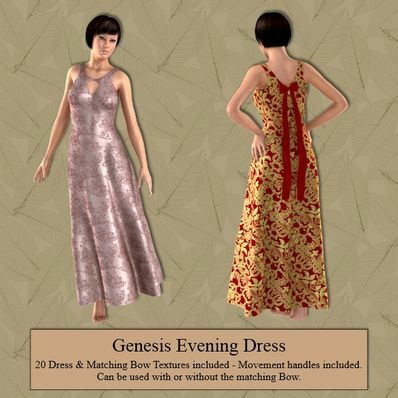 An Evening Dress for Genesis for use in Daz Studio 4.6. Several textures for the Genesis and matching bow included. Metada doesn't work properly on this. What a lovely dress/gown. Love the various textures, they are awesome, thank you!